Wells & Winter have been in the business of supplying quality plant labels for more than 30 years. 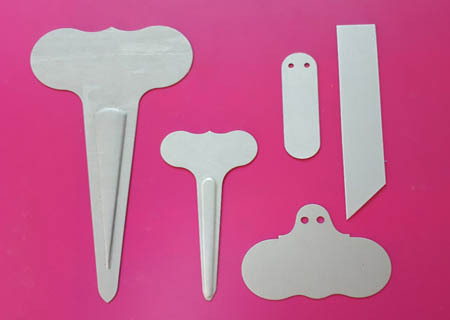 Many of our different shapes and sizes of plant labels are only available from us. We are gardeners ourselves. We are always very happy to supply free samples of our plant labels before you make a decision or you can call us to discuss your ideas. Email or phone for samples. Copper Plant Labels. Thin Copper tags are wonderfully soft and are embossed simply by writing on them with a biro (It is the impression you are after rather than the ink. 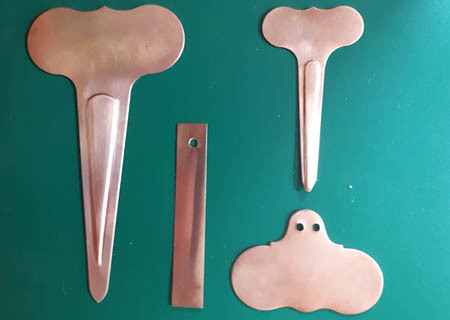 ); other shapes of copper plant label are thicker and suitable for marking in a variety of ways. Zinc Plant Labels. The neatest, classiest and most durable labels are Zinc - a discrete matt grey. However these attributes come at a price but spread that price over the life of a tree, shrub, or treasured herbaceous plant and the cost is negligible. They will last more than an eternity and were widely used by our Victorian and Edwardian forebears. We stock the Wartnaby Gardens range of zinc labels. 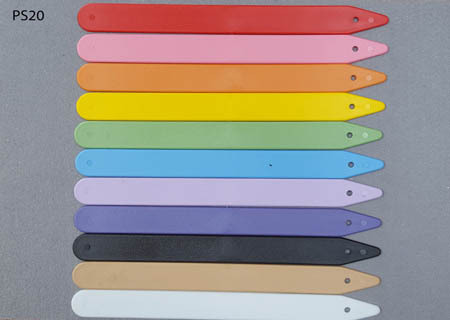 You can mark them with pencil, felt tip, etching fluid or engrave them. You can arrange the engraving or we can arrange this for you. 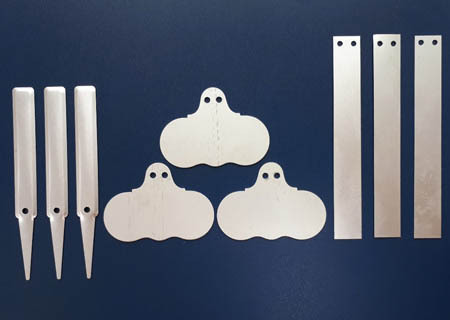 Aluminium Plant Labels. Anodised Aluminium labels are softer than Zinc and don't take engraving so well. They have a shiny(ish) finish and a more modern feel to them than Zinc. Aluminium looks good in pots. Plastic Plant Labels. Plastic Labels are the work horse of the label family. Cheap and durable plant labels, they are great value and give lasting plant identification. White is the traditional colour of plant labels and widely used, but for a more discrete colour try our sage green. Alternatively silver writing on black plastic labels looks very stylish in the garden whilst not being overly obtrusive. Our wide range of colours, shapes and sizes gives great scope for differentiating between plants. If in doubt, please ring for samples. The high quality of our plastic plant labels makes them stand out in the marketplace. The labels are made to high standards by a long established family owned and run company in Norfolk. Our labels are generally thicker plastic, more flexible, and contain more stabilisers to minimise sunlight induced colour changes or degradation. All our plastic plant labels have a rough to the touch finish to them which makes them easy to write on with pencil or felt tip pen (this is not always the case with many plant labels from other manufacturers). We believe the quality of our plastic plant labels to be second to none. 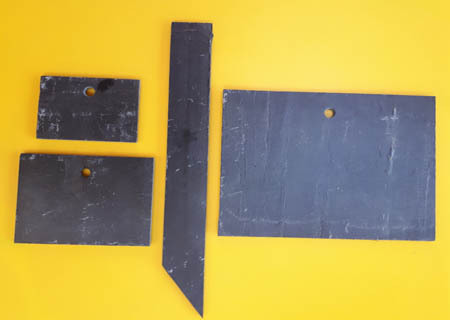 Slate Plant Labels. French slate from near Angers in the Loire valley - a beautiful natural material which is very durable and blends in well in the flower beds. Slate labels can be marked with a silver or white paint pen, tape from a machine or simply scratched with a hard point.